Birds donâ€™t have a urinary bladder. The ureters end directly in the urodeum of the cloaca. 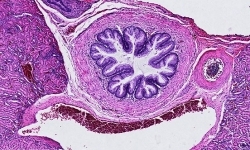 The kidneys possess two types of nephron, a cortical or reptilian type and a medullary or mammalian type. 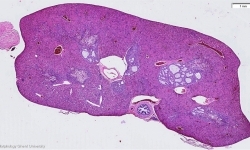 As in most reptiles, amphibians and fish but in contrast to mammals, a renal portal system is present.